Whats happened around the UFO world, in April 2009 (mainly articles that have caught my eye). ” The problem is the myths of Area 51 are hard to dispute if no one can speak on the record about what actually happened there. Well, now, for the first time, someone is ready to talk—in fact, five men are, and their stories rival the most outrageous of rumors ” (extract from article). ” You’d be surprised how many rock people enjoy doing a photo shoot with me because they get a UFO update. They’re the people who are most receptive to other forms of consciousness. They’re wide open. When Dave Grohl calls his band the Foo Fighters, and they’re on Roswell Records and they premiere the record in Roswell, New Mexico, you know something’s going on! Jimmy Page has always been interested in UFOs, and Jimi Hendrix was driven by UFO ideas ” (extract from article). Cool. NJ.com ” Morris County men sentenced in UFO hoax ” many press outlets covered this story…too many to mention. “ Between Jan. 5 and Feb. 19, Rudy and Russo released helium balloons with traffic flares tied to them on five separate occasions in what they called a “social experiment” to debunk the pseudoscience of UFOs ” (extract from article). They then put up an article on April 1st saying it was a hoax… however, due to a possible fire hazzard they were fined $250 + 50 hours community service. “ Coming in fresh is another UFO report from China, this time from the Guangzhou University area.The UFO seemingly hovered amidst some pretty heavy cloud cover above the university and its surrounding environs. A reporter in the area managed to get off a low-resolution shot of the activity, but it’s hard really to discern anything significant from his vantage point ” (extract from article). ” A GRAPHIC designer claimed that he spotted an unidentified flying object (UFO) circling overhead in Taman Dato’ Onn, Larkin in Johor at 10pm on Thursday, reported Kosmo! ” (extract from article). ” Thornton Barnes, a former Area 51 project specialist, told Fox’s Bill Hemmer that a secret plane, code-named OXCART, was almost certainly mistaken for a UFO. At the time the OXCART was first brought online, Barnes says no one else in the world had any aero-technology like it ” (extract from article). Will this end all the speculation/answer your questions?…probably not. The history of the OXCART program can be seen here from the CIA. Also the OXCART articles can be seen again at the CIA website here . ” Just when the whole idea of UFOs was starting to get a little bit of creditable attention, two muppets go and claim that on their very first trip to Area 51 they see, and video ‘weird lights’… ” (extract from article). Mmmm how true…. OK….please move along to the next news. 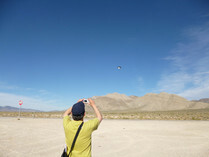 ” April 14, 2009: An unidentified, jet propelled UAV has been spotted operating from an American airbase in Afghanistan. It’s a flying wing design, similar to the X-45s and X-47s built as development aircraft for the U.S. Air Force and Navy ” (extract from article). 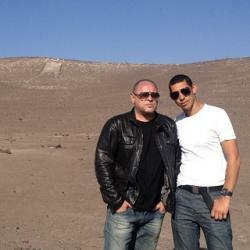 ” Want to meet some of the most influential people studying ufology today? Get out to Galena, IL, May 28-31, for the Illinois Mutual UFO Network (MUFON) sponsored conference ” (extract from article). ” He delivered his remarks during an appearance at the National Press Club following the conclusion of the fifth annual X-Conference, a meeting of UFO activists and researchers studying the possibility of alien life forms ” (extract from article). Later, near the end of the article [ NASA spokesman=Michael Cabbage]:” “NASA does not track UFOs. NASA is not involved in any sort of cover-up about alien life on this planet or anywhere else — period,” Michael Cabbage said Monday ” (extract from article). ” UFO believers are appealing to President Obama to release government files on extraterrestrial life. CNN’s Jim Acosta reports ” (from post with video). KASA.com ” UFO believers push for records release “very similar to above article and video. “ WASHINGTON – A group of space enthusiasts, and even astronauts, are pushing President Obama to release government documents on possible close encounters with aliens and UFO’s ” (extract from very short article). Main part is video, which is at the link above. I’m guessing that this paper is similar to ‘The Sun’ back in the UK, as in newsworthiness.News.com has a similar article here . 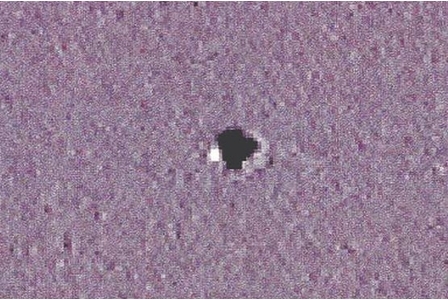 “ Bendigo District Astronomical Society education officer Paul Foley said it was highly unlikely the object was an alien spacecraft. “There are a lot of things in the sky which look pretty strange, that sometimes can’t be explained, but that’s not to say they’re alien,” he said. “UFOs are not necessarily alien spacecrafts.” Mr Foley said the object could have been anything from a meteorite to a piece of a satellite that had burned up while re-entering the atmosphere ” (extract from article). ” A 22-year-old downtown resident told Madison Police he spotted a mysterious unidentified flying object Thursday, April 16 at James Madison Park ” (extract from short article). ” WAS it a plane, was it a flying saucer or was it a meteor entering Earth’s atmosphere? That is what two men on the Gold and Sunshine coasts are asking after both saw a mysterious white light shooting through the night sky on Monday ” (extract from article). ” The former NASA astronaut Edgar Mitchell has claimed that aliens exist and their visits are being covered up by the United States government. Mitchell is in good company in his beliefs. Here we highlight 12 other public figures who believe that extraterrestrials may have been visiting our planet over the last 100 years ” (extract from article). ” The main title sequence started in the editing room by researching hundreds of pieces of archival UFO footage that would help us tell the story,” says Synderela Peng, yU+co.’s Art Director. 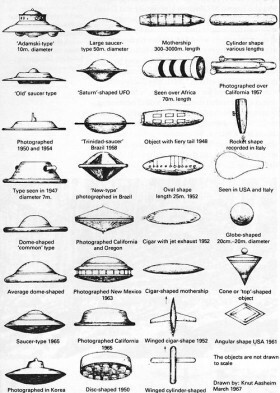 “We delineated decades of UFO discoveries, beginning with the 1950’s to the present day. We also spent a lot of time on details like treating the headlines and the film footage so they reflect the time period they were supposed to be from “ ” (extract from article). ” In the banquet hall of a Hilton in suburban Maryland, there were no alien costumes. There were PhDs, ex-military men, activists and concerned citizens. They sat in on lectures with such titles as Obama and Disclosure . They browsed tables stocked with books such as Exopolitics: How Does One Speak to a Ball of Light? They talked about black budgets and quantum cosmology ” (extract from article). “ The motion of these spheres, including one in particular that is on the right of the actor “Enrico Lo Verso” into the “d1”, is absolutely anomalous, in fact, considering the aforesaid sphere, it accomplishes direction changes, including a turning with a small relative radius,at very high speed and it is noted that no airplane identified or bird would be able to perform such maneuvers ” (extract from article). Related Italian news to this can be found here (translated by google). ” In those days I was pointed out by Mr. Mario Maisto an interesting sighting occurred in 2007 during filming of the movie “Milano-Palermo: il ritorno”, played by Raoul Bova and Giancarlo Giannini ” (extract from article). What do you think ….. is it a UFO? or is it a bird in flight? or something else. ” A Virginia Beach man, Cameron Pack, says he’s gotten Virginia Beach’s UFO files. He says UFOs exist because he saw one. It was six years ago over a tree near the Virginia Beach amphitheater. 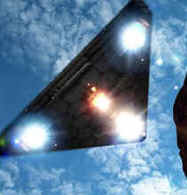 “The thing turns at a 90-degree angle, three white lights in a triangle formation,” he recalls ” (extract from article). “ But not all of them stayed quiet and, in the early 1960s, Project BLUEBOOK was started to fight the growing paranoia of an alien attack. Today there are 74,000 pages of reports housed in 37 cubic feet of files in the National Archives. Project BLUEBOOK was shut down in 1969 and, as unbelievable as this may well be to you, there isn’t one word that mentions Operation OXCART or the mysterious base called Area 51. So, as you are once again led to believe there are not saucers that hover over our cornfields or aliens-on-ice high above the Nevada desert, you’ll be the smartest guy in the class if you don’t lose sight of the fact that, according to the CIA and the American government, a place called “Area 51” has never, ever, existed. How does that go down with your Cherrios? If it bothers you, just remember I was more worried about the flying saucers ” (extract from article). NJ.com with The Star Ledger …Online Videos “ Ledger Live: Morris UFO hoaxers tell their story” Video included (8 minutes 57 seconds). “ Chris Russo and Joe Rudy say they launched helium balloons with traffic flares tied to them in a “social experiment” to debunk the pseudoscience of UFOs ” (extract from article). ” Mr. Marcattilio picked up his “Dr. UFO” moniker by being the go-to guy for lots of ordinary people with out-of-the-ordinary questions, and also for his personal library of more than 1,200 UFO-related books and videos. He has created something like a traveling museum, too — some 75 large panels mounted with UFO photos, scientific reports, police reports, etc ” (extract from article). ” Well-known author Whitley Strieber’s April 26 entry in the “Whitley’s Journal” section of his Web site provides interesting reading about “disclosure” on UFOs and visitation to Earth by other intelligent beings ” (extract from article). On a personal note, i’m afraid i do not find Whitley a credible source at all. Therefore, i cannot recommend his website…sorry. According to MTV.com “Indy 4 masterminds open up about Supernatural skull” (posted 2 january,2008) it mentions that the latest film of Indiana jones will be like the X-files? but is definately set in 1957. The cast are, however keeping tight lipped about much of what the film will contain. And there could be more overlap than ever before — especially when it comes to those pesky aliens. Combining the movie’s time frame (1957) with one of the flick’s shooting locations (New Mexico) seems to indicate an Area 51 theme. “It’s important for us that there’s a real supernatural mystery going on,” Lucas said. “Only Indiana Jones movies are supernatural-mystery movies. They’re always going after some supernatural object. It’s not a pretend object. It’s not something that we made up. It’s something that actually exists, or people believe exists — whether it does or not is in dispute. But for every person who says, ‘I don’t believe that,’ there’s another person who says, ‘Well, I believe it. I heard about it, and I saw it and there’s stories.’ “ (extract from article). Now that could be interesting! For the latest trailer, see below.